Even for the non-religious the intensity and tension of Jerusalem can stir up something internal. Nowhere else in the world have I witnessed grown men sobbing uncontrollably. Been shouted at because my (very conservative) outfit was offensive. 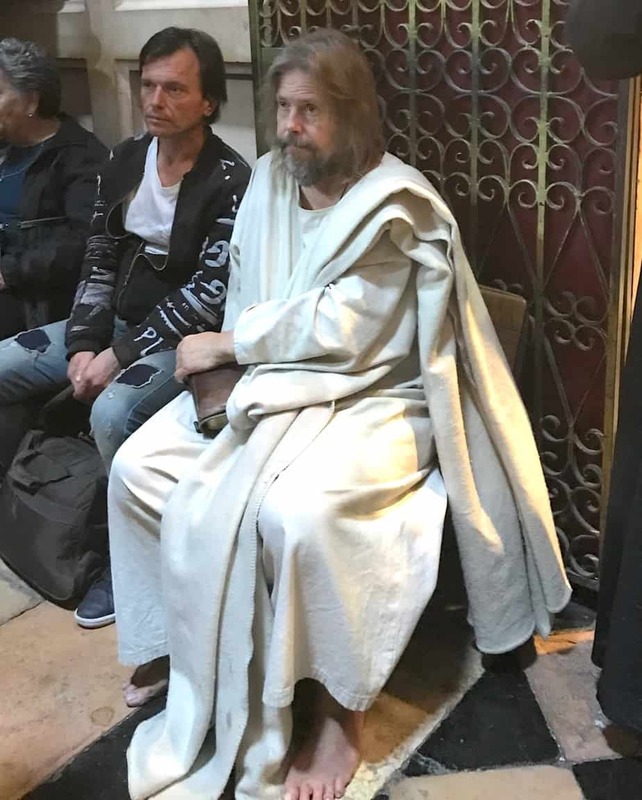 Or met such interesting individuals like the shoeless guy below! I always leave Jerusalem with some lasting memory, although this time it might be a little more permanent. 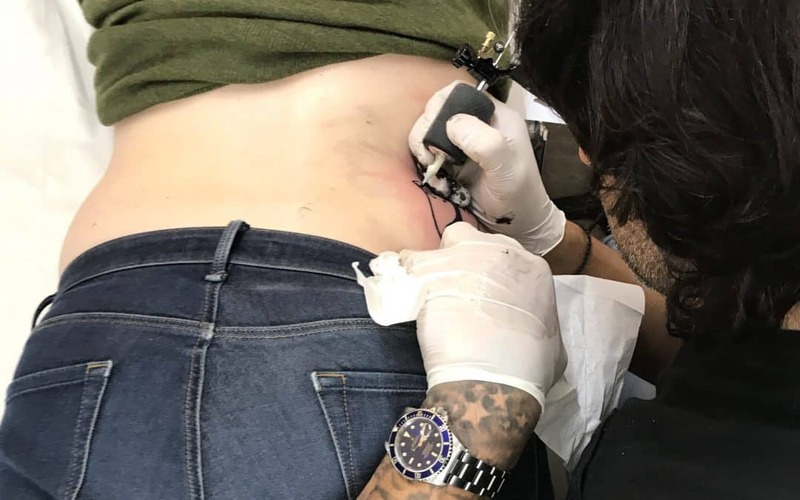 Maybe it was the onset of Jerusalem Syndrome, but when I found out about a small hidden shop in Jerusalem called Razzouk Tattoo, I knew I’d be paying it a visit! 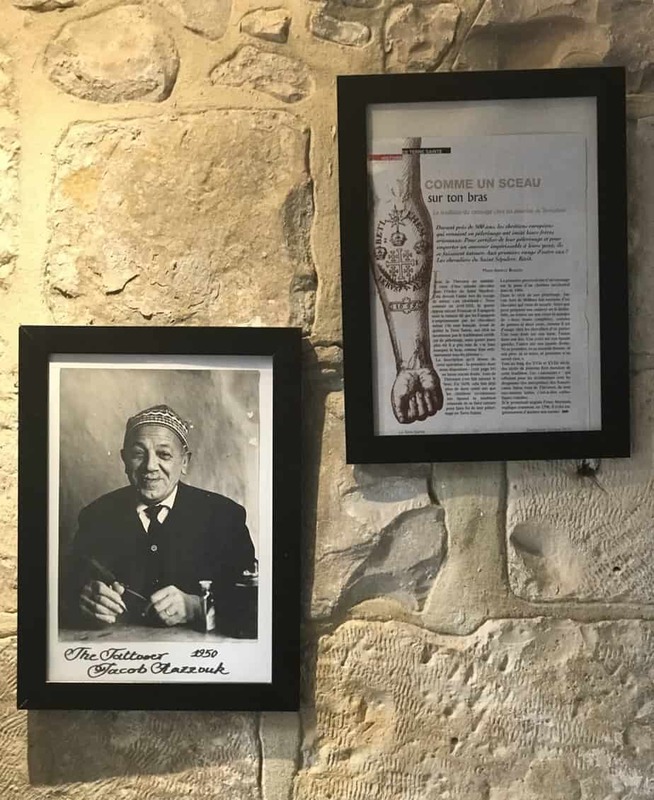 Razzouk Tattoo is believed to be the oldest Tattoo business in the world. With a heritage dating as far back as 1300. 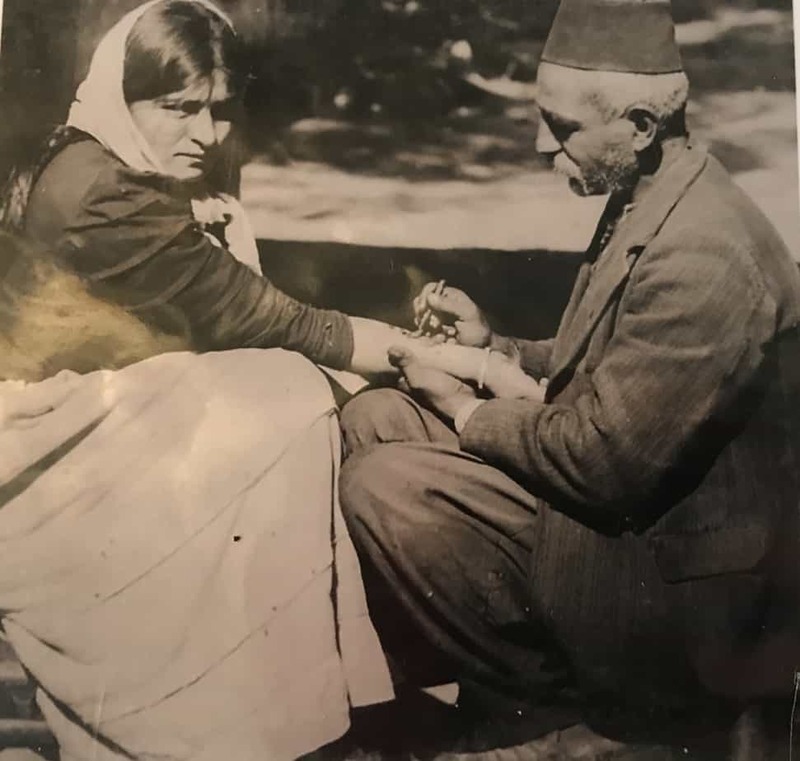 Razzouk ancestors used to tattoo crosses on the wrists of Christian Copts which would grant them entry to churches. 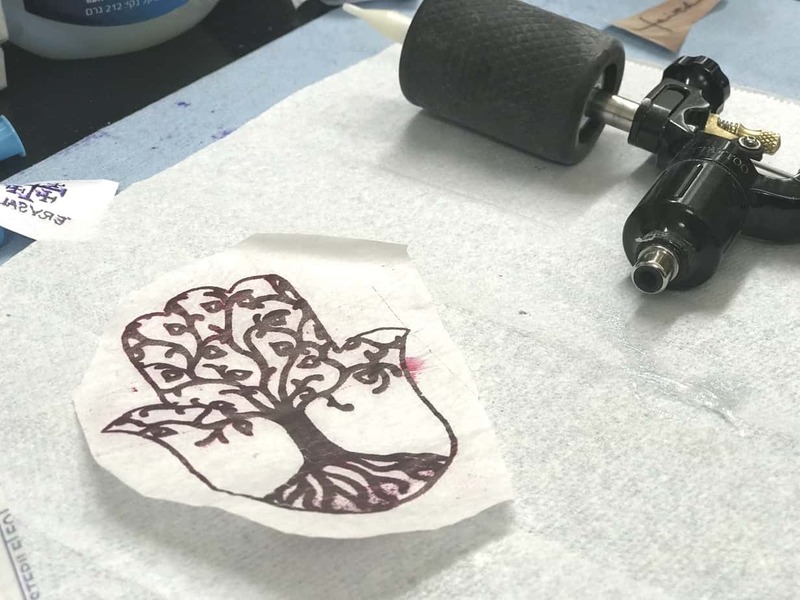 The Razzouk family continue their tradition today, offering tattoos – with new technology and variety – to visitors to the Old City of Jerusalem. 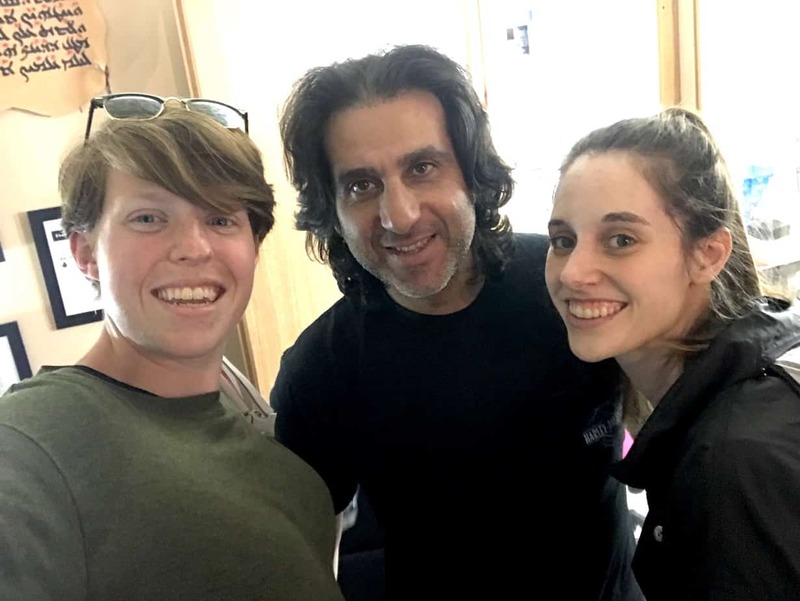 The tattoo studio is now run by the 27th generation of the Razzouk family. 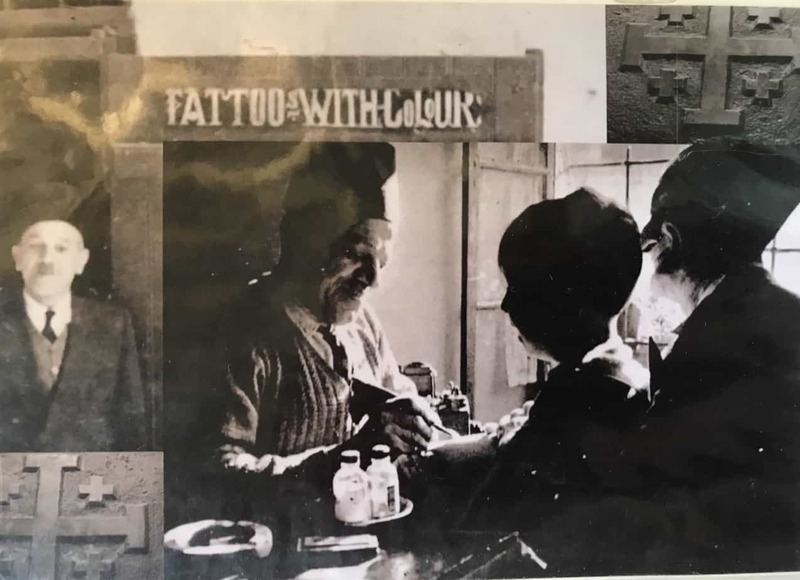 You can read more about their fascinating history on the Razzouk Tattoo website. 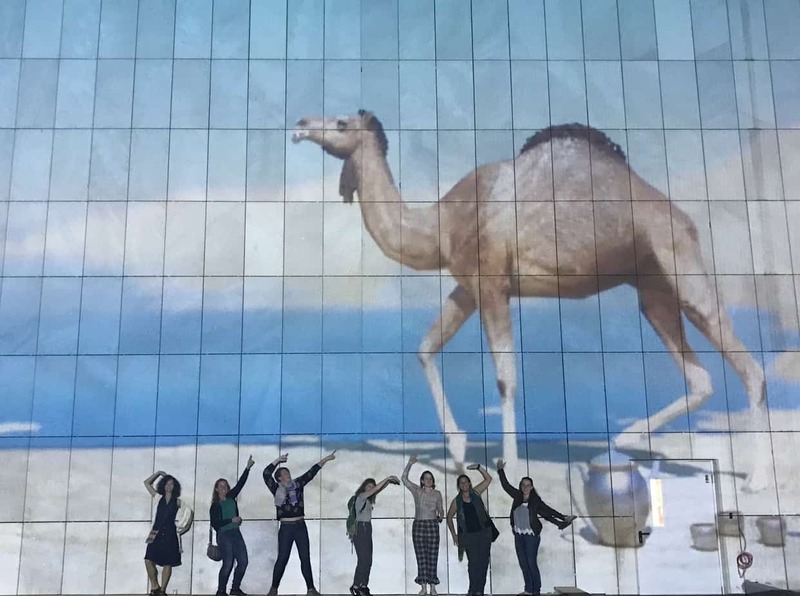 I’d just finished leading an 8-day Love Her Wild expedition in Israel. This really was quite a special trip. It was the first time I’d run an expedition entirely myself – from bookings & logistics to leading. Just 2 years ago I would’ve never imagined that I would have had the confidence to do such a thing……and all from a community which I had founded. It had been quite a spectacular week. We’d visited Tel Aviv, the Dead Sea, Masada and Jerusalem. 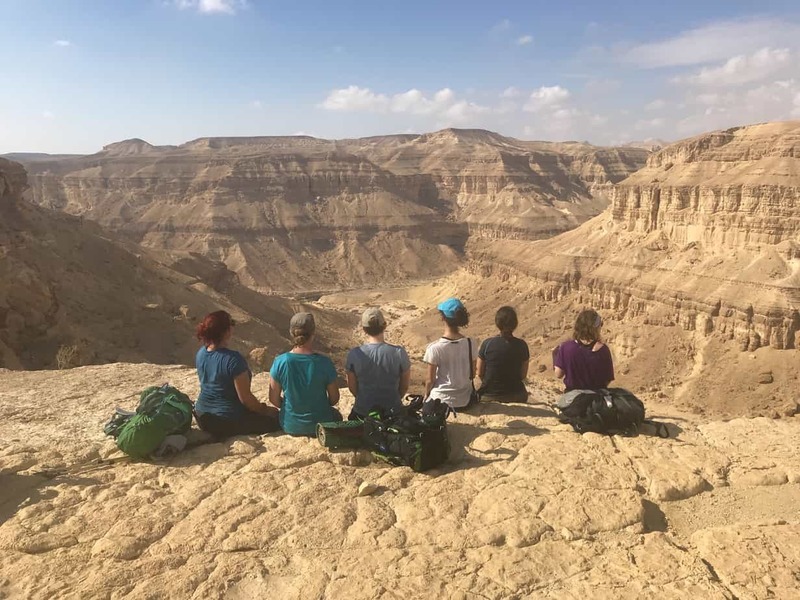 As well as spending 4 days hiking in the beautiful Negev desert. And what a team we had to tackle this adventure. 6 women joined me and it had been a complete inspiration to just hang out with such like-minded individuals in this unique country. I only found out about Razzouk the last day of the Israel expedition while looking online. Instantly I knew I wanted a tattoo there. Israel is a significant place for me for many reasons and at this moment I wanted something to commemorate the place I have reached. 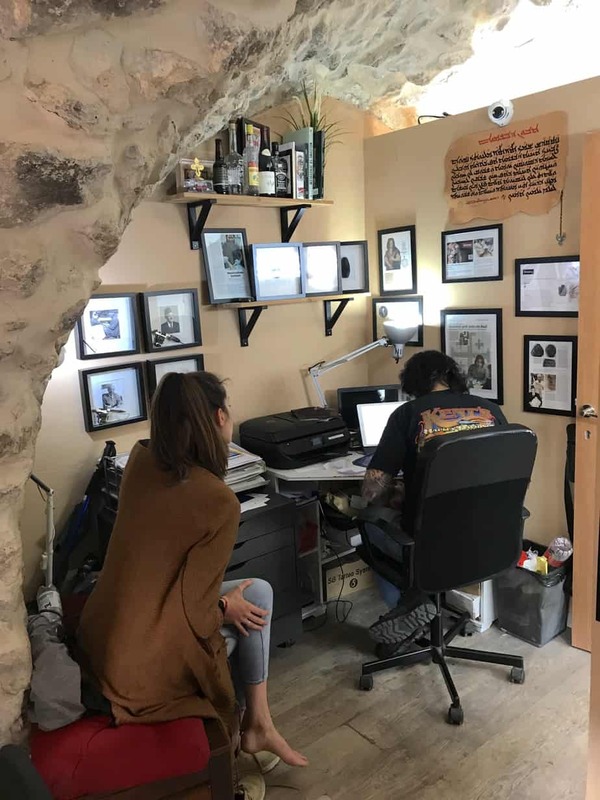 2 days after reading about RazzoukI headed to the old city and found the tattoo shop hidden down an alley near Jaffa Gate (take the second left after Jaffa Gate). I was sure that it wouldn’t be possible to get a tattoo so last minute and with this being my last day in Jerusalem I didn’t get my hopes up. I was greeted by Wasim Razzouk who told me just a half an hour wait. Suddenly I felt really nervous……Was I really going to do this?! When I’d first thought about getting a tattoo I knew I wanted a Hamsa. It’s a symbol I like a lot – both for its meanings, its use by many religions and cultures and also its personal significance. As my drop into the tattoo shop was so last minute I thought I’d be limited to using an existing tattoo design. But Wasim was patient with my suggestion of wanting to combine a Hamsa with a tree to tie it into my life now. Wasim worked quietly and when he showed me the end design I couldn’t believe what he’d created in such a short time. This was my second tattoo and the pain level of this one was on a completely different level than my first. The tattoo took about 40 minutes to complete. I had no concept of time though. I just gritted my teeth and worked through the intense pain. 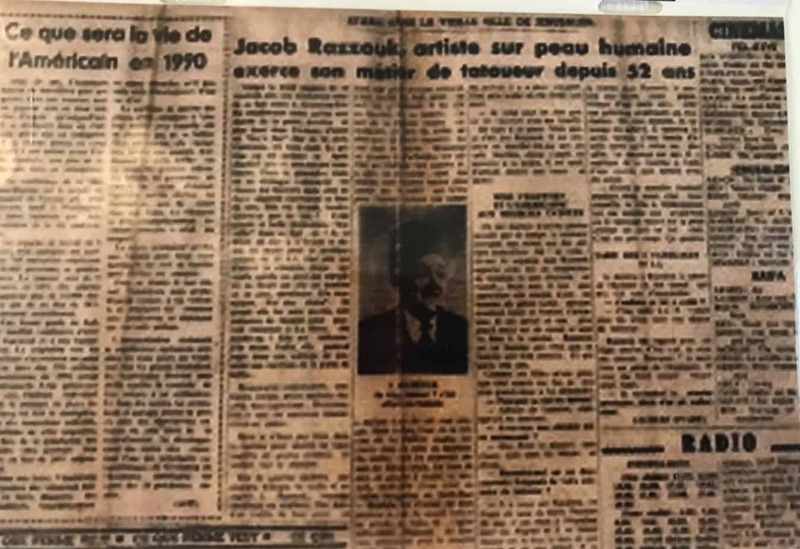 The history of Razzouk Tattoo is quite remarkable but what made this experience special was Wasim. He left quite an impression on me (literally and metaphorically!). This was, without doubt, the most spontaneous thing I’ve ever done but it’s good to just follow your gut sometime. I really couldn’t be happier with the outcome. I love it!! it’s beautiful!!! 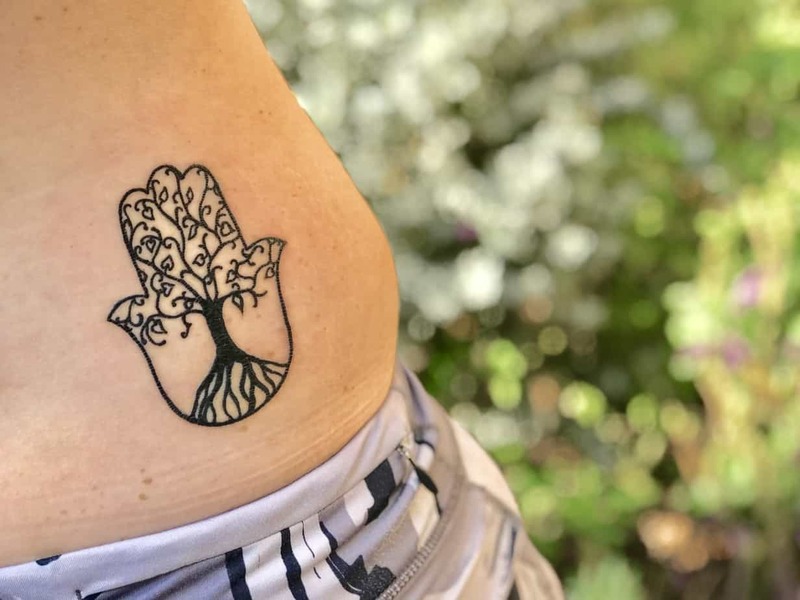 such an amazing Hamsa design, i absolutely love it with the tree. go you!! The tattoo looks amazing – so cool!!! That’s awesome! I read somewhere that back tattoos are quite painful … mine certainly was worse than the others.